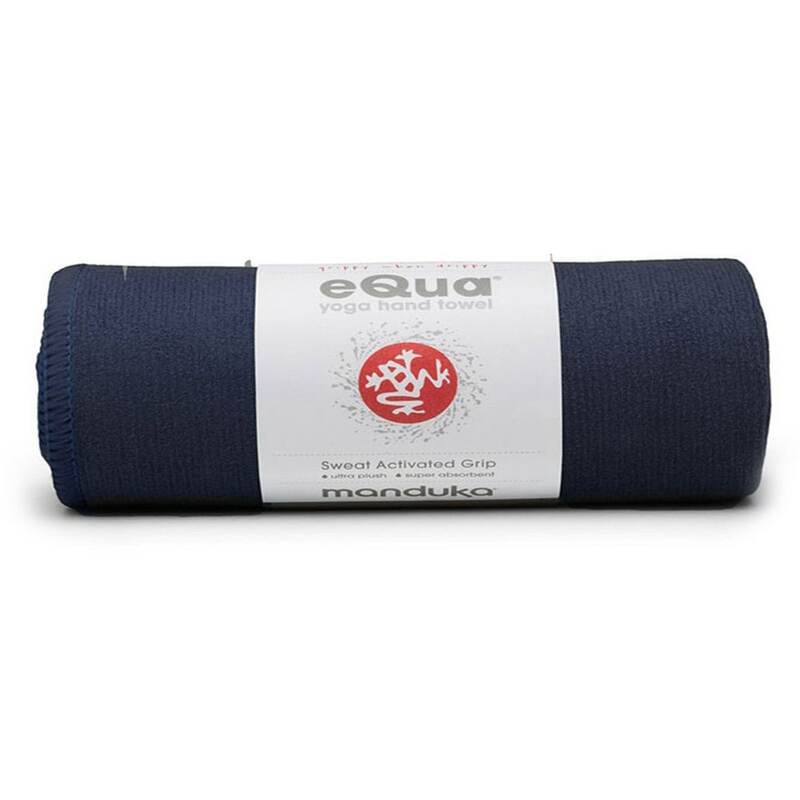 Manduka eQua™ towel is the 'next generation' in multi-purpose towels. Extremely lightweight, yet plush, durable, super-absorbent and quick drying, the eQua micro-fiber towel outperforms ordinary cotton or polyester towels - on the mat, at the gym, on a mountain, or on the road. Now thicker and plusher for better absorbency and slip-resistance, the new & improved eQua™ towel is the perfect companion to all Manduka high performance yoga mats. The eQua Mat Towel lies over your yoga mat to add traction to sweaty palms and feet, while the eQua Hand Towel is great for the face and hands. The versatile eQua™ doubles as a germ-free gym towel to absorb perspiration, as a meditation shawl so you can stay warm during cool sitting sessions, or as a highly absorbent travel or hiking towel which takes up a minimum amount of packing space. Slip-resistant, when moist, this super-soft microfiber towel provides extra grip for sweaty hands and feet.